Unlocking your BlackBerry Bold 9700 Unlock Code has never been easier! That's right - you're FREE, your unlocked handset will accept any SIM card from ANY provider worldwide! You're just 30 seconds away from freedom. We guarantee it. Our BlackBerry Bold 9700 Unlock Code unlocking process is safe and 100% money-back guaranteed. Your BlackBerry Bold 9700 Unlock Code will not be damaged in any way through this process. So how do you unlock your BlackBerry Bold 9700 Unlock Code? It's as easy as texting a friend! We'll provide you step-by-step instructions on how to unlock your handset, as well as an unlock code straight from the manufacturer. To GET STARTED: Select the original carrier of your BlackBerry Bold 9700 Unlock Code from the list below to start unlocking your phone. 100% Guaranteed Successful Blackberry Unlock - Our Blackberry unlock code will unlock your phone or we will refund your payment in full. 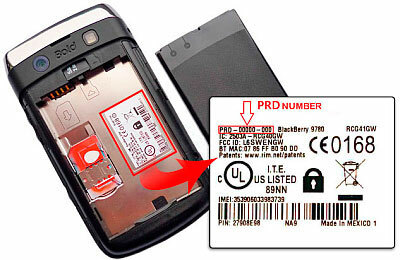 Simply the most advanced unlocking tool for BlackBerry Bold 9700 phones using PRD method. This tool will allow you to generate complete unlock codes for any BlackBerry Bold 9700 phones. Using PRD calculation method you will be guaranteed to get only one and a working unlock code. That is including all types of codes level such as Network, Network Subset, Service Provider, Corporate, Sim. This is also the most complete solution on the market supporting latest PRD's. 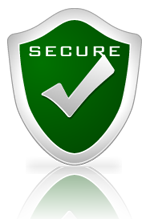 The most advanced and UP to date unlocking solution for BlackBerry Phones. Does your BlackBerry Bold 9700 Unlock Code work only with your current service provider or, when you insert a SIM card from another network, do you see any of the following messages? If so, your BlackBerry Bold 9700 Unlock Code is LOCKED and we can help you remove this lock on your BlackBerry Bold 9700 Unlock Code in a few simple steps, allowing you to use your phone on any GSM wireless network anywhere in the world. You will not have to mail in your BlackBerry Bold 9700 Unlock Code. No Hardware or Software required. No technical knowledge required at all. Simply provide us your BlackBerry Bold 9700 Unlock Code’s IMEI number and we do all the rest. - Simply provide us your BlackBerry Bold 9700 Unlock Code’s IMEI (which can be found by typing *#06# into your phone), during check out. - Follow the unlocking instructions provided by MasterUnlockCode.com and easily dial in the supplied Unlock CODE for your mobile and start using your BlackBerry Bold 9700 Unlock Code with any SIM Card. - As usually subsidize the cost of the phone, by unlocking it you are increasing the resale value of your BlackBerry Bold 9700 Unlock Code by up to 300%. - Use your work and personal SIM Card in your unlocked BlackBerry Bold 9700 Unlock Code - no need to carry two phones again. - No opening your BlackBerry Bold 9700 Unlock Code and risk of damage to your device. - No complicated software or hardware just enters Unlock CODE, and your BlackBerry Bold 9700 Unlock Code is PERMANENTLY unlocked. - Unlocking is a one-time event. It works for the life of your BlackBerry Bold 9700 Unlock Code. Why my BlackBerry Bold 9700 Unlock Code is locked? When you purchase a cell phone it is often offered at a discounted price by the cellular network. In return for this generosity they "lock" your BlackBerry Bold 9700 Unlock Code to their network, so that you can only use their network for making and receiving calls. This means that you cannot use the SIM card of another network, and if you try to do so the phone will display "Phone Restricted", “Contact Service Provider”, “Enter Unlock Code” or a similar message. Unlocking the phone removes this lock, allowing you to use your BlackBerry Bold 9700 Unlock Code on any GSM wireless network anywhere in the world. Why should I unlock my BlackBerry Bold 9700 Unlock Code? - Use your work and personal SIM card in your unlocked BlackBerry Bold 9700 Unlock Code no need to carry two phones again. - You never send your BlackBerry Bold 9700 Unlock Code to anybody. - No complicated software or hardware just enters code, and your BlackBerry Bold 9700 Unlock Code is PERMANENTLY unlocked. - Is safe and does not void BlackBerry Bold 9700 Unlock Code’s warranty. - Will I have to unlock my BlackBerry Bold 9700 Unlock Code every time I change SIM Card? - No, even if you upgrade the software (flash) or hard reset your BlackBerry Bold 9700 Unlock Code, it remains permanently unlocked, no matter what you do to it. Upon successful order submission, we will process your BlackBerry Bold 9700 Unlock Code's unique IMEI number and email back an unlock code. Removing the network restriction on your BlackBerry Bold 9700 Unlock Code with unlocking codes is the safest and fastest way to unlock a cell phone. There is absolutely no risk of damaging your BlackBerry Bold 9700 Unlock Code or void warranty. You simply enter the unlock codes directly into your BlackBerry Bold 9700 Unlock Code via the BlackBerry Bold 9700 Unlock Code’s keypad to remove the network restriction. We guarantee it to work or your money back. Yes is legal. On November 26, 2006, the U.S. Copyright Office ruled that consumers can legally unlock their cell phones in order to use them with rival carriers. Some times you might be able to ask your network to provide you with an unlock code. However, they will only do this for free if you have completed your contract. Obviously most networks don't want you moving away from their network so they will often charge extortionate rates to unlock your BlackBerry Bold 9700 Unlock Code and you can also be made to wait up to 3 weeks to receive your unlock codes.